Apples to Apples or Apples to Oranges Edition – Combustion Engine or Alternative Fuel? Combustion engine or alternative fuel? Combustion engine or alternative fuel? Over the last decade, the debate has gone round and round. I am firmly in the camp of combustion engine. Especially since a cost effective alternative fuel option has yet to be found. You could go electric to access alternative fuel markets but a lack of range and infrastructure make EVs less than attractive for most buyers. (Unless of course you are a Tesla owner but how many Teslas are on the road and accessibly priced?) Not to mention the quite large carbon footprint left by “clean vehicle” production. 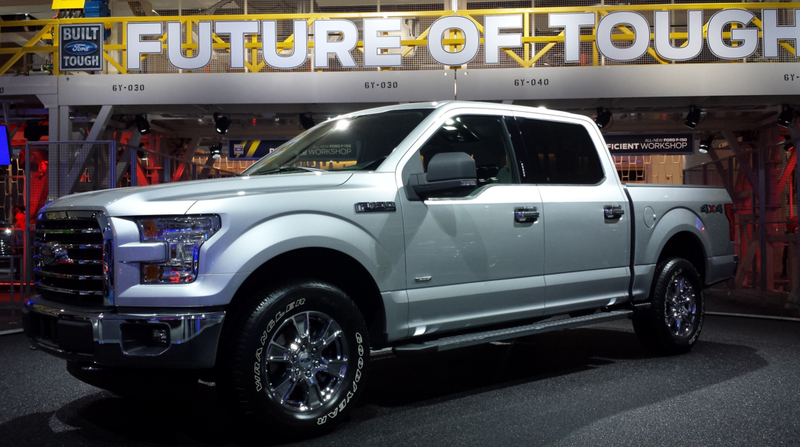 The Ford F-150 is the most popular vehicle on the road. And now its mileage is improving even more than it was with the efficient eco-boost engine. Lower gas prices and now better efficiency in a truck? How many hydrogen cell vehicles are on the road? Or EV vehicles? Not many, given the current infrastructure, production and retail cost. Additionally, the alternative fuel camp has to legislate giveaways in the form of rebates and tax breaks for green vehicles that aren’t more efficient but do produce more pollution in their production processes—but why bother with that, right? Honestly, I think it’s time we stop government rebates on green vehicles and focus on what we have and clearly what people want: making increasingly efficient combustion engine vehicles even more efficient. Stop playing with our emotions, Buick. Last year, Buick teased us with their Avenir concept car: http://www.buick.com/avenir-concept-vehicle.html. This year they offered us the Avista concept: http://www.buick.com/avista-concept-coupe.html. Both cars are gorgeous and I love that the Avista concept is a luxe Camaro. Regardless of the hip Matt & Kim songs featured in Buick commercials, Buick is rather ho-hum when it comes to car design. Except in the case of its concepts. Build the concepts, Buick! We want them. We’d buy them. And we’re tired of not getting the cars we want from you.